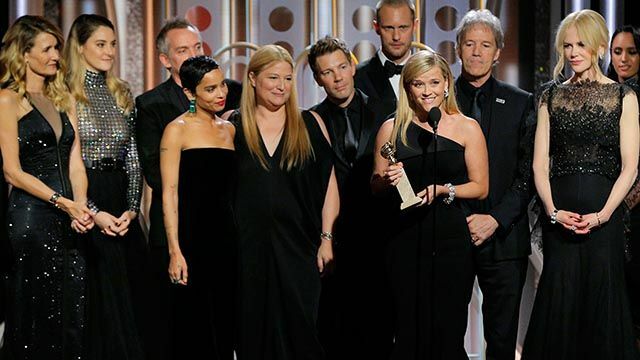 The 2018 Golden Globes is the annual event to honors performances in television and film. This event is one of the most attractive awards show of Hollywood which fall in an early season. Besides the crowd of the awards ceremony, this time has been a tough year for the Hollywood entertainment industry because of the recent wave of sexual harassment in this area and the emergence of the #MeToo movement. Most of the actors and actresses come in black to raise awareness and protest movements for sexual abuse that occur inside Hollywood. Aside from this problem, the award remains an award, and the show must go on. There are a total of 25 categories that are nominated in this 2018 golden globe, including films, tv series, tv movies, limited series, and movies from abroad. Actors, actresses, supporting actors, and directors are also nominated to determine who is the best this year. These are the complete list of 2018 Golden Globe Award Winners! Winner: Aziz Ansari, Master of None. Congratulations to the winners that included in the list above. Of course, they are expected to continue to play a role in the entertainment industry and create extraordinary works for people in the world. Now you are just waiting for other spectacular jobs that will enter the 2019 Golden Globe Awards. Stay tuned!